spellow3010 wrote: Timeline Events are running a series of photo shoot boat trips for this event. Friday 28th. At £60 ago. Makes the Gosport Ferries £10 a head look an absolute steal. 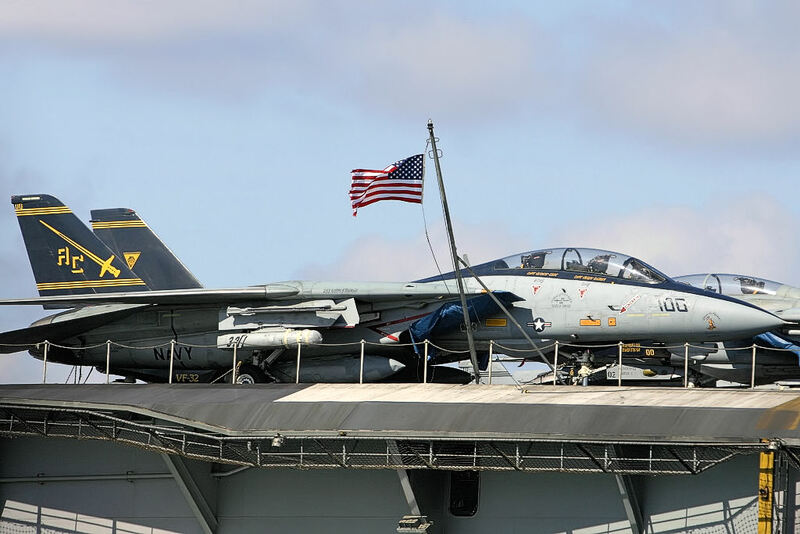 Well at least you get variety with two squadrons each of Tomcat, Hornet and Intruder, a squadron each of Viking, Prowler and Hawkeye plus the Sea Kings. First time I went out on a boat from Gun Wharf quays, I had to wait several hours for a space on the boat to be available. Then about an hour beforehand, the mist rolled up the Solent and into Portsmouth, (a bit like opening the bathroom door when you have had the hot water in the bath on full blast). Went out on the boat,(one of the bigger two deck ones) through the mist, couldn't see a thing, then slap bang in the middle of the Solent, in the clear was the Carrier . After sailing around it, we headed back into the murk. The next time it was in a much smaller boat and was really choppy!, water splashing over the bow and side. 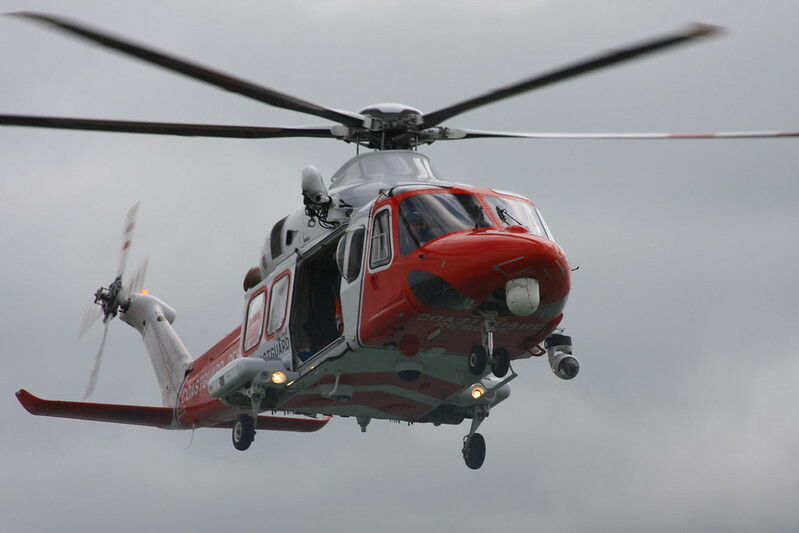 One of the passengers wasn't too well up front, the CoastGuard Helicopter did a very low fly by, hovering just off to one side of the boat about 20 feet up! It was an experience, photography was very challenging with the boat pitching all over the place. I think KeithJS was on that boat as well. FGR2 wrote: First time I went out on a boat from Gun Wharf quays, I had to wait several hours for a space on the boat to be available. Then about an hour beforehand, the mist rolled up the Solent and into Portsmouth, (a bit like opening the bathroom door when you have had the hot water in the bath on full blast). Went out on the boat,(one of the bigger two deck ones) through the mist, couldn't see a thing, then slap bang in the middle of the Solent, in the clear was the Carrier . After sailing around it, we headed back into the murk. The next time it was in a much smaller boat and was really choppy!, water splashing over the bow and side. One of the passengers wasn't too well up front, the CoastGuard Helicopter did a very low fly by, hovering just off to one side of the boat about 20 feet up! It was an experience, photography was very challenging with the boat pitching all over the place. Indeed I was....And choppy is understatement..The subject still comes up in conversation now...Emma says...just a little boat trip you said..! It was my son that wasn't too good up front. 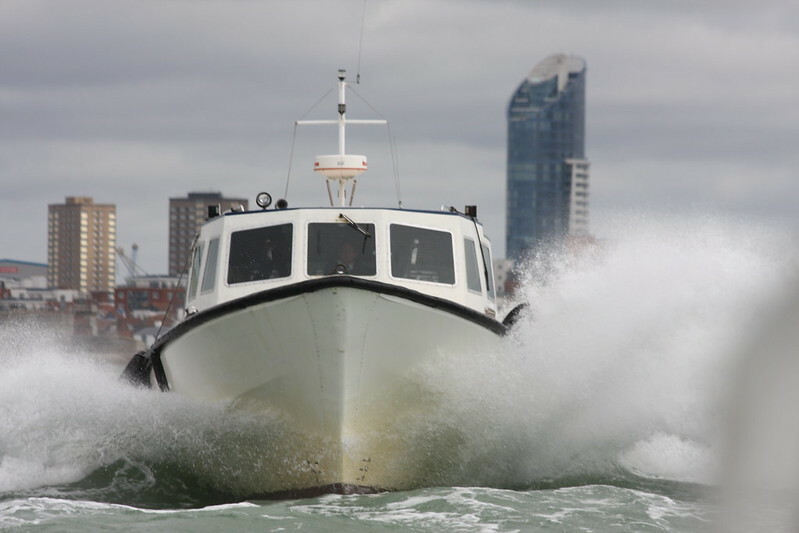 In fact we were in Portsmouth on Saturday and got chatting to the guy that operates the boat trips from Gunwarf and he even remembered the day too....He's got a boat going this weekend too. Very tempted to go back down again but doubtful as to any tickets being available still. Would you be up for it if I can get a couple? I can only do Sunday as I'm at War and Peace on Friday and at a BBQ on Saturday. If anyone else can get hold of a couple too I'd be grateful. Anyway here's a couple to remind you. We were obviously in the front boat. Hi Keith, it is Lee. I won't be able to get down this weekend. Sounds like it is going to be busy though. Ah, yes hi Lee. Sorry you can't come down . I'm still trying at the moment..can't get through..
Luckily I don't do numbers. Should be enjoyable seeing the Carrier itself for me. Just staggering to look at. 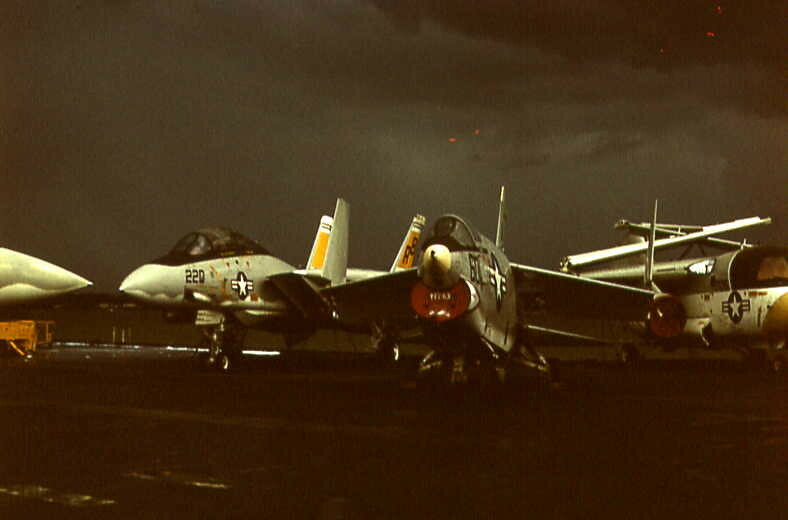 Last time I got on was 1987 USS Forrestal with F-14s. 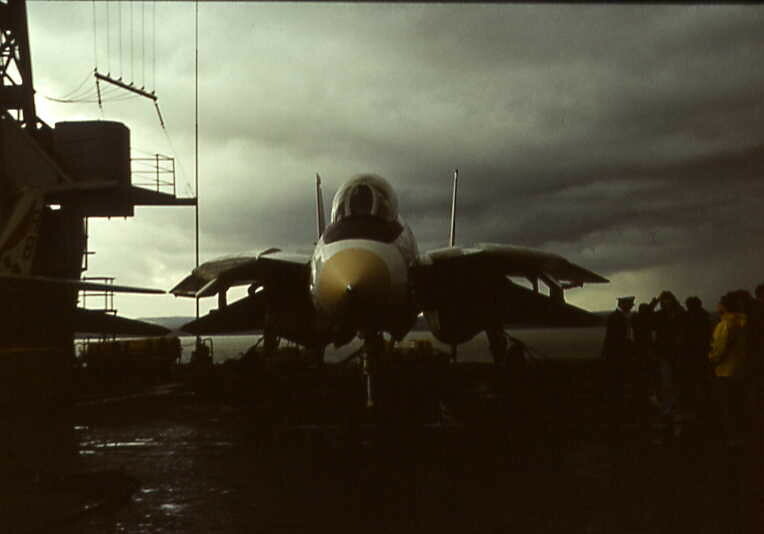 First and only one for me was USS Independence (CVA62), around 1969/1970, no F-14's on that one either, only F4's, A7's, A3's and RA-5's plus some others. Gosport Ferries are still showing one trip Sunday available, however getting through to them on the phone is difficult, constantly engaged ! Minigill wrote: Gosport Ferries are still showing one trip Sunday available, however getting through to them on the phone is difficult, constantly engaged ! Yes indeed.! I tried 25 times in a couple of hours on the mobile this morning. Asked my wife to do it by the house phone and she got straight through...Maybe try that? Anyway got a couple of tickets for the 11am sailing in the end. Funnily enough, after 59 attempts with "Hey Siri, ring Ferry" over 2 hours (I had a day off Monday ! ), my friend was trying on his home phone for me and that is the one that got through to a queue system (albiet not very long waiting once connected). The home phone was engaged for a while but worth trying both ! Going down Friday evening for fish n chips on the beach and Hornets! My choice of lens (apart from a wide angle) are 50-140 + 1.4x or 100-400 on a Fuji X-T2. Minigill wrote: My choice of lens (apart from a wide angle) are 50-140 + 1.4x or 100-400 on a Fuji X-T2. Funny you should ask that..I was only looking at my 2011 photos yesterday and they were all taken with my 70-300. As we had a particularly rough trip It didn't seem wise to keep changing. If you want an overall shot of the carrier do it sooner rather than later. The boat won't be allowed to get much closer than about 500 metres anyway so it's not like you'll be right underneath it...Have fun. Lets hope the weather plays ball not like my JFK visit ! Well I'm looking forward to it... not sure why the negativity and confusion, but each to their own. Caught comms earlier ( American ) regarding "returning to the ship"..... possibly the Greyhounds ? Thanks for the info crop or FF out of interest ? Sorry, not quite sure what you mean? But anyway, no I didn't crop any, they were good enough for me as I took them..
For your information, here's a link to FGR2's photos who was on the same boat as me. I did have some on here of my own but Photobucket got at them and deleted them..
keithjs wrote: Sorry, not quite sure what you mean? I think he is asking if your images were taken using a crop-sensor camera body, or full-frame (FF). The Greyhounds are up again.